Whenever I take on a Gluten Free, Wheat Free & Oat Free diet I cry to myself each morning when I can’t have my Oat Bran on Rice Milk breakfast. So in my recent desperation I hit the shops in search for a Gluten Free (Oat & Wheat Free too) equivalent to Oat Bran. Note: Many Gluten Free people can tolerate Oat Gluten which is a different ‘strain’ of Gluten (Gliadin being the primary culprit found in wheat & the likes) but word on the street is that even if you can tolerate the Gluten found in Oats, it is very difficult to get Oats uncontaminated by Wheat due to manufacturing cross-contamination and even just cross-contamination in the field where it is grown! - I have actually seen this myself: a lovely field of wheat with these random huge stocks of oats scattered throughout or visa-versa blown in the wind from one crop to another)...So, what did I come up with you ask? Well, during my search I had a moment of blissful excitement in the Hopsack when I fell upon a box of Ener-G Rice Bran (also available in Down to Earth)!! It wasn’t really being marketed for cereal usage but I tried it anyway... (note: it does suggest to add the rice bran to hot or cold cereal for extra fibre). 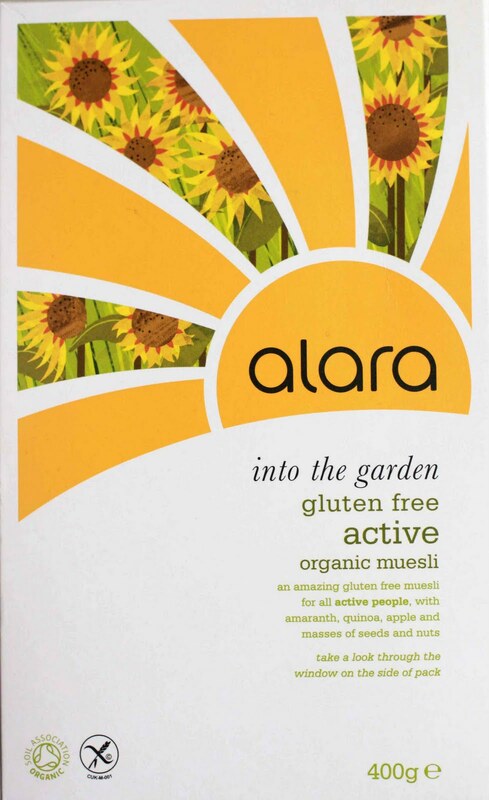 Ingredients: Rice Bran -Free of All Allergens other than Rice, of course. Normally (& if you can tolerate oats I highly recommend this!) I cook 1 part oat bran (1/2 a cup per person) to 3 parts simmering rice milk (1.5 cups) stirring for only 2 - 3 minutes. I put it into a bow & add extras to my hearts content, such as pea protein, ground flax seeds, ground sunflower seeds and ground pumpkin seeds with a handful of frozen blueberries. I stir it all up and eat it with calm, quiet content. So I did the exactly same with my Rice Bran, only my added extras were chopped pumpkin seeds, chopped almonds, ground flax seeds and pea protein powder (no blueberries). It technically worked. The end result wasn’t overly appetizing looking as it has a bit of a green tint but with the ground flax seeds and pea protein I got it to a nice thickness. The biggest problem was that the rice bran is ground too finely so the end result becomes a bit too gloopy and smooth for my liking. Alara ‘into the garden’ Gluten Free Active Organic Muesli: At first F. and I weren’t overly impressed. The milk (rice milk) made the cereal look like quicksand because all the tiny puffs instantly floated to the top which made it look disturbingly dense. We both felt that the apple juice sweetener was a bit tangy and overall were not instantly loving the experience... however, I was left with the box and I hate to waste food so I continued to eat it over the next couple days and ended up sort of liking it. There’s loads going on in it and although it’s easy to eat, unlike most muesli, I found it nice to give each bite a really good chew to release all the flavour. I would tag it as more of an acquired taste and not for people who want the very sugary mainstream cereals. If you are trying to refrain from sugars you’ll know how hard it is to find a cereal or muesli naturally sweetened or isn’t loaded down with dried fruits [which normally speaking I would love ;)] let alone a Gluten Free one! But 5 bowls later (about 6-7 generous portions in a box) I found myself buying another box! P.S. If you care about packaging, this one comes in a really uplifting happy healthy bright box which says ‘Welcome the Sun’ on the opening flap. The whole experience made me feel healthy and earthy, in a good way! :) I got mine in Nolan’s Food Fare in Terenure for €4.69. Allergen Warnings: Contains nuts and sesame seeds. Produced in a factory that handles Peanuts and Soy. Ingredients: quinoa flakes, sesame seeds, apple juice, puffed amaranth, sunflower seeds, pumpkin seeds, raw buckwheat, golden linseeds, dried apple pieces, brazil nut pieces, puffed quinoa. and I’m always interested to hear other people’s opinions! Allergen Warnings: Contains nuts and seeds. Ingredients: rice flakes, sultanas, millet flakes, pumpkin seeds, sesame seeds, sunflower seeds, linseed, almonds, hazelnuts. Well, it’s that time of the month again where I try to share some of the wonderful, interesting and inspiring things that I have been perusing over the last 30 or so days. This month has been a see-saw of healthy foods, new years resolutions and dietary/allergic reactions/cures competing with holiday reminiscent indulgent recipes and lazy living. So now that January is almost over lets get down to work at making 2012 exactly the way we want it to be... So the menu is Copper Toxicity, Beginning an Allergy Free Diet, all the crazy Mental and Emotional stuff that can go along with Food Allergies, Getting your Fresh Starts on the road before January is out, A dose of healthy and wicked Recipes to tempt you whether your plans for 2012 are drink more, be healthy, or indulge yourself...My ordinary Extras and one little Question: Has anybody tried Flax Milk?? The verdict: good. Not as amazing as I had hoped but still quite nice. My aunt tried a piece and also approved but we both agreed that we would like more of the caramelized hazelnut pieces (My aunt’s favourite bar is Dairy Filled Ritter’s Hazelnut which is literally jam packed with hazelnuts so we are coming from the same place). In my opinion, skimping on the filling, nuts, etc, is the downfall of almost all chocolates Dairy Free and Dairy Filled alike but that is not to say that Moo Free’s addition to the Free From marketplace is not appreciated - it is! It may not be perfect but I sure do get bored of plain Allergy Free chocolate bars or mint flavoured Allergy Free chocolate bars over and over again - so hip hip hooray! And please, if you have tried them, what do you think? And what are the other flavours like?! I find the hardest thing about a Gluten Free diet is finding something to eat for breakfast every day. This is all the more difficult if you are Dairy free and Egg free too! I love breakfast. I have specific things that I like to eat, the entire meal is a comfort to me. So when a dietary restriction gets in the way of that comfort I get seriously annoyed and feel like everything is impossible ... not exactly the way I like to start my day. So, I’ve been thinking that if I feel this way, and I’m not even a coeliac, I imagine that it might be a familiar feeling to others. Soooo, Over the next little while I am going to do some ‘What I had for Breakfast’ specials which will give some Allergen Free ideas to help start off our day. Today, because I was recently asked to refrain from oats (my love!) my breakfast is a bit light. Generally I need a quality breakfast to consist of more than Gluten Free corn flakes in a bowl because I am prone to feeling weak if I don’t get something solid first thing. So, the task at hand was to make a light cereal breakfast of Rice Puffs into something a bit more solid which will last me until lunch so I added some Pea Protein to give it a bit more staying power. Today I actually had Kara Coconut Milk (which is considered a nut) only because I ran out of Rice Dream, but if you are going for the plain rice puffs and you don’t want to add a sweetener than I suggest a naturally sweeter Dairy Free milk like Rice Dream. Also, if you don’t like the ‘thinness’ of Rice Dream you'll be happy to hear that the protein powder thickens it up a bit. Note about using Protein Powder: I use Pea Protein because it is Vegan as well as being Soya Free. Just sprinkle the powder over the cereal and then mix with your spoon before adding the milk to avoid clumping. Mix again after adding the milk and you shouldn’t have a problem. That’s it, have a great & Food Allergy Friendly day! Word on the street is that Fresh is planning on re-locating but is just searching for a new venue. The biggest problem with Powerscourt is that they closed at 6pm which was no longer suitable to Fresh... possibly meaning some late night free from food on the menu?! ... but remember, these are still just rumours - I haven't heard anything direct from Fresh. Also looking for a location is that much talked about Raw Vegan restaurant which I believe will be called ‘Aphrodisiac’. Síl from www.sseduced.com (and future proprietor of Aphrodisiac) confirmed for me that they are ready and waiting to open once they find an appropriate location, preferably in the Grafton Street or Temple Bar areas of Dublin 2. And to help Aphrodisiac get on its way here’s a tempting little offer from Sseduced: “We're looking for premises ready to go...If anybody sees anywhere suitable that they would like to recommend to us, they can kindly write to sil@sseduced.com. If we use the premises they recommend we'll reward them with a number of special meals and gifts from Sseduced!” So get your scouting hats on! And if you can’t wait for that, then check out Sseduced’s monthly Raw Food Events (first one starting tomorrow, Jan 21st at 12:30pm. Also, Feb 2nd at 2pm!) which are like cooking-get-togethers and gives you a feel for what it’s like to be raw for a day with a cooking class, a demo, talk, gourmet meals! Check out the website for more information and booking: www.sseduced.com. And yes, that ever important day is tight on our heels again. If you want your 2012 Valentine's to be a little more cool and a little less sappy (OR a little more fun and a little less lonely) check this out: Sseduced is also doing a Valentines Raw Vegan party for both singles and couples. Check out the video ad for it here www.sseduced.com - I love the boy bears voice! Now I’ll have to get on to F. and see if he would like a bossa nova filled February 14th this year! 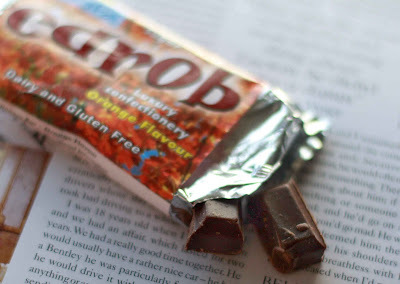 I’ve spoken about Carob before and how it isn’t chocolate but it is commonly used as a chocolate substitute even though it doesn’t really taste the same and should really be in a category of its own. That’s not to say that it isn’t delicious in its own right but for some people it can be a bit of an acquired taste. The only downfall is that Siesta contains Soya, which makes it less allergen friendly but if you don’t have a Soya intolerance dig in. Also, if you are weight conscious take note of the fat content before you get too hooked. p.s. Carob is rich in vitamin B1 and Niacin and contains vitamin A, Vitamin B2, Calcium, Magnesium, Potassium, and the trace minerals Iron, Manganese, Chromium, Copper, and Nickel. Carob is approximately 8% protein and is a good source of fibre, which is how John the Baptist managed to live on it in the dessert for all that time I guess. This nutritional information was taken from www.gilead.net. If you're still not convinced see the rest of the post here for all the benefits of carob in relation to chocolate. Food Allergy Warning: Contains Soya. Produced in a nut free environment, however we cannot guarantee that it does not contain nut traces. Going to Nando’s? 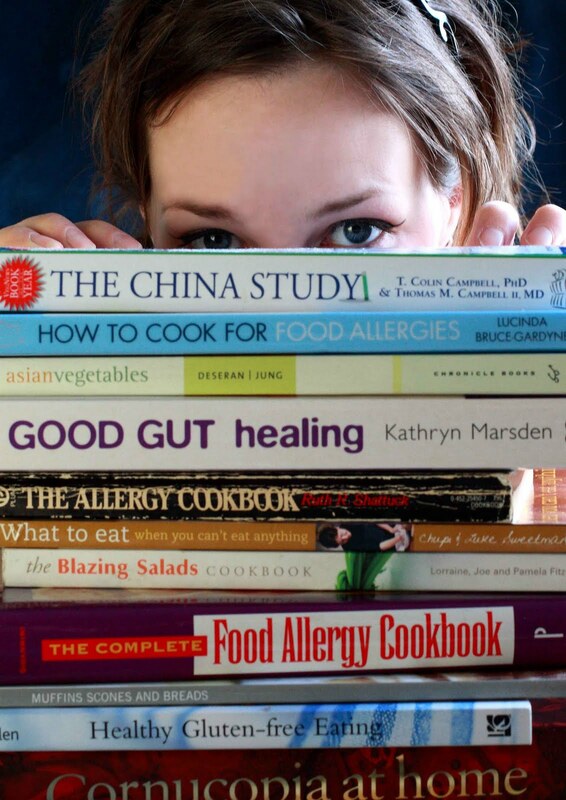 - Ask for the Ingredients Book for Full Allergen Listings! I have rarely been so impressed with a restaurant when it comes to ingredient knowledge and food allergy understanding but Nando’s just raised the bar. When I’m eating out I need to trust my waiter, the chef and the restaurant, in that order. I look at the waiter as my food allergy representative in the kitchen and if he/she doesn’t understand me the line of communication is going to disintegrate rapidly. I have been to restaurants (almost always large chains) which have a go-to-reference guide of ingredients for the waiters to refer to but Nando’s was the first time that I was freely given the guide, allowed to pour over it at my table before ordering and was literally blown away by its usability, freedom of information and food allergy awareness. But seriously, the food is good, the chicken is tender and this is one place that you can definitely rest when it comes to hidden food allergens. My only word of warning/advice, is to order separately and double confirm with your server when your meal arrives because once my mom and my sauces were mixed up... People will be people and mistakes can happen to anyone so keep your safety in your own hands and never let your guard down completely, even though it is super tempting given such odds!! P.S: there’s even a Vegan Sorbet for dessert! The 2012 Free From Awards & Yours Truly! In other news, Cafe Fresh which was located upstairs in the Powerscourt Townhouse is closed - My friend S. confirmed to me only this morning that the doors are closed and their Facebook page has been removed! This, so close on the heels of Juice’s abrupt closure makes for a dark time for vegetarians, vegans and free from eaters in Dublin, non? Supposedly there is hope of just a relocation with Fresh, but with no notices up it seems doubtful. All this definitely makes me hope that my next piece of gossip will be a successful reality! It seems that Sseduced has, in the past rented out The Joy of Chá located on Essex Street in Temple Bar two nights a week to serve vegan raw living food but this is no longer happening. I’m eagerly awaiting confirmation of a permanent location/opening because if it’s all true then we can look forward to: Wheat Free, Gluten Free, Dairy Free, Sugar Free, Soya Free, Yeast Free, Egg Free, Organic, Vegan, Vegetarian and of course, RAW food in a sit down restaurant in the city centre and seriously, how great would that be?! I never cared much for Oreo cookies ... perhaps a subconscious dislike relating to an irritating, mis-applied nickname in school, or a rebellion against their mainstream popularity in Canada ... whatever the reason, I always found them too ‘everything’. The biscuit was too dense, and too dark. The sugar was too sweet, the filling had too much of that strange artificialness and they stick in my teeth way too much. However, when I’m desperate I’m desperate and during my time in India, where every sweet known to the country seemed to contain dairy, I found myself buying a pack of Oreo cookies. I remember almost liking them broken up into an ice cream once during childhood and I knew that they were a popular Vegan treat in the American blogosphere so, Dairy Free and sweet being the only prerequisite, down the hatch they went. Yuck. Still too artificial for me, even in a moment of need. Especially the filling, which is usually my favourite part of a biscuit but I know that I am only one against a mass of Oreo lovers so when I got home to Ireland I picked up a pack so I could write all about it. But, to my surprise, it would seem that Oreo Cookies contains milk in Ireland! Maybe everybody already knows this but I feel the need to share this for any overseas readers who might unwittingly pick up a pack of their tried and trusted go-to-snack, expecting them to be a safe haven. That’s it. That’s all I want to say: Oreo cookies contain milk in Ireland. ... and naturally this also reminds me to call out a warning to everybody yet again - read read read the ingredients on EVERYTHING you buy and eat because not only are ingredients prone to change, but they can even change country to country, let alone continent to continent, which was a new one for me! Many moons ago when Dublin with Food Allergies was still in its infancy I told you all about some wonderful Dairy Free sweets which were an impressive alternative to milk chocolate. At the time I had only seen them available in Restore, on Camden Street. Since then, I have found these little pieces of Caramel heaven difficult to locate. Although Restore do stock them from time to time they are not permanent residents of the shelves - but protest not! - Over the weekend as I was browsing the Free From shelf in Tesco (Rathfarnham Shopping Centre, Fairways) there in front of me, for €2.99, were my little dairy free diamonds (12 to a box). This is good news to Dairy Free Sweet Teeth everywhere! Of course I bought them despite my ‘healthy pledges’ of 2012 and savoured each one. F. tried one too. Although he is not allergic or even intolerant to Dairy, he has been ‘reducing’ his dairy intake for health reasons. But he loves milk chocolate. Unfortunately, he only tried one sweet and refused more because, I quote, ‘milk free chocolate just isn’t worth it’ ... I however, reject this statement! Choices Caramel flavoured chocolates are very similar to my memory of milk chocolate. Sure, its not the REAL deal, and it has less of a mucus residue (wink), but when I eat them I genuinely feel like I just put my hand into a box of Roses and pulled out a caramel filled milk chocolate and to me, thats a damn good substitute. Of course, Booja Booja will always reign #1 but thats gourmet chocolate, which is a whole other kettle of fish. Lately I have been frustrated with how all the supposed ‘Super Foods’ are quite expensive and seem to have to be flown half way around the world so we can eat them. My sister and I had been debating this fact and wondering what ever happened to ‘an apple a day keeps the doctor away’ and the benefit of our old faithfuls because if you are like us, you spend enough money on substituting for your food allergies to be adding the price of goji berries and the likes on top...let alone our environmental concerns and carbon footprints! 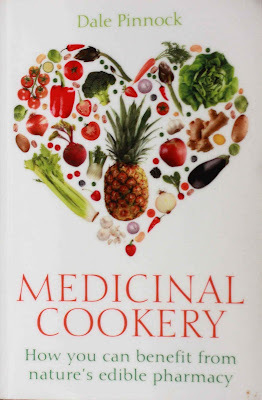 Before I went home for the Christmas I picked up a new book in my local library, ‘Medicinal Cookery' by Dale Pinnock (copyright 2011) for some holiday reading and it turned out to be a treasure trove of all the information that I had been curious about of late, namely: The Real Super Foods. Medicinal Cookery isn’t really directed at the topic of ‘Super Foods’ as we know it but that is exactly what it is... It goes through the body system by system (Skin, Digestion, Heart & Circulatory System, Immune System, Joints and Nervous System) and discusses how each system works, what we need to maintain it, what foods to avoid, what foods to consume and a few helpful (and seriously tasty sounding) recipes to aid each area. Cabbage - "Steamed sautéed, or raw. Boiled cabbage is of no great use to man or beast, unless of course creating noxious odours in your kitchen serves a practical use. Boiling this precious vegetable will make it devoid of any of the good stuff"
Thyme - "Use either fresh or dried. The secret is to add it to dishes at a fairly late stage where possible. This will deliver flavour without damaging too much of the active chemistry"
Celery - "Eaten raw or juiced. Cooked celery is completely useless as even the slightest heat exposure can break down its active constituents, leaving it with not much else to offer." Dale Pinnock has an honest, and agreeable style of writing, as though a real person, who eats real food were writing the book and he speaks openly about his own challenge with skin in youth and how it changed his diet and consequently his life. For anyone who is trying to eat healthier, heal problem areas or just wants to know how to get value out of your shopping cart and cooking methods, I seriously can’t recommend this book enough. The Food Allergy Free Month (& Year) in Review! Happy New Year!!! I hope that you all had a very wonderful Christmas and that you managed to stay healthy and Allergy Free during one of the most difficult times of the year to do so! My personal Free From highlights of the season were 1, Vegideli Beanfeast paté on crackers with Tesco hummus as a pre christmas dinner snack (addictively tasty!). 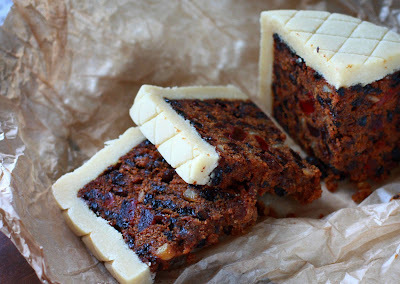 2, My Mom’s insanely good Gluten Free and Dairy Free christmas cake (pictured above) which was SO good this year that we actually took a mini vote and decided that it was BETTER than the Gluten-filled one, which was already totally awesome! 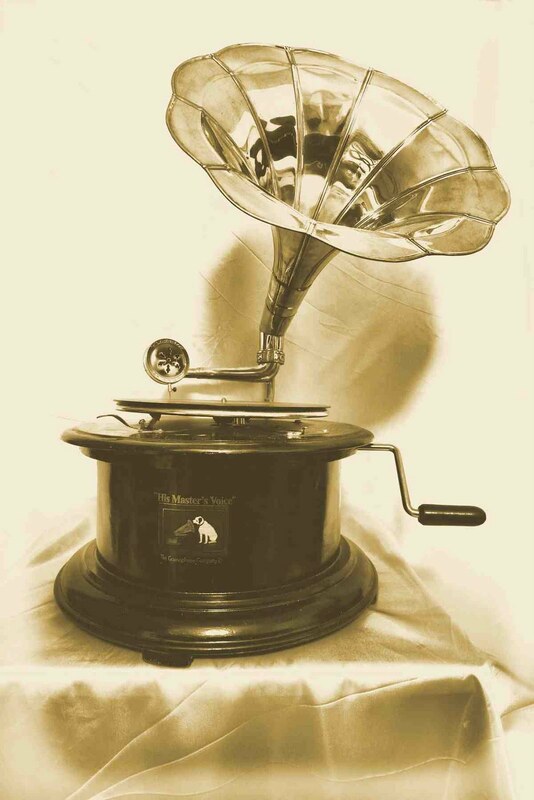 and 3, My beautiful beautiful gramophone, which F. gifted me with - Swooon! picture courtesy of F. because it was too big to transport to my family home! Not only did I get this blog finally looking the way I want but my page views more than quadrupled! Yay!. I reviewed no less than 18 Cafés and Restaurants which cater to Food Allergies and Dietary Restrictions and 12 shops around the city which sell a good range Allergy Free food products, I’ve shared at least 14 Free From recipes (I’ll work on creating and sharing even more in 2012!) and reviewed some books on the topic of food allergies and digestion. I also reviewed a WHOLE HOST of food allergy friendly products that are available in and around Dublin not to mention all the going’s on out and about the city. And because a girl’s got to get away every now and then I also did some features on Cork City, West Cork, Salzburg (Austria) and India and all of the allergy free finds in those wonderful places. Dec 7: An Easy Dairy Free Appetizer - Great for Seasonal Celebrations! Dec 12: A Delicious (Naturally Dairy Free) Elisen-Ledkuchen - The Prefect Christmas Treat! Dec 14: Gluten Free, Wheat Free, Dairy Free Rich & Fruity Cider Cake Anyone? Dec 2: A Petite Treats Charity Coffee Morning: Dec 8!! Dec 9: Gossip & Gatherings: Loads of ‘Free From’ News That’ll Definitely Interest You!